Good news for Wells Fargo customers caught up in the fake account scandal: The bank has agreed to sweeten its class action settlement. Wells Fargo (WFC) said on Friday the revised preliminary agreement to compensate customers is now worth $142 million, up from $110 million, from the original deal announced in late March. The embattled bank has also expanded the scope of the settlement. Now, customers who had unauthorized accounts opened in their name as early as May 2002 will be included. The previous agreement only went back to 2009. The new timeline reflects the reality that the scandal took place earlier than previously thought. Wells Fargo's own board of directors put out a 110-page report on April 10 that found evidence of "mass terminations" of employees for opening unauthorized accounts and other misconduct going back to "at least 2002." "We made a number of mistakes, there's no question about it. 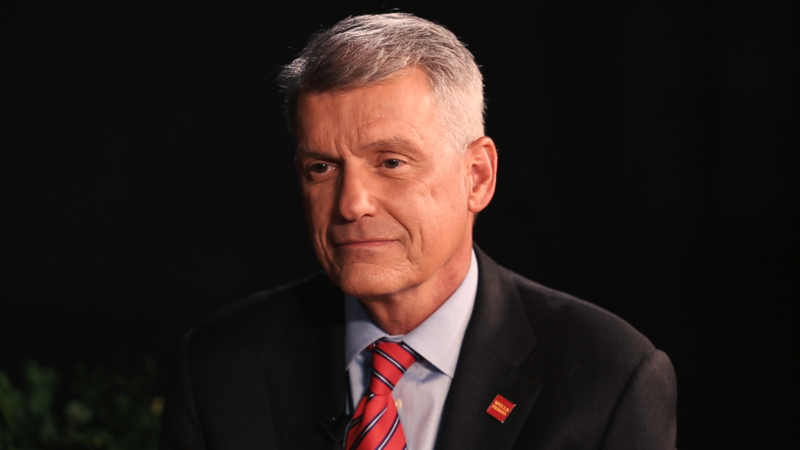 We're focused on fixing what was broken, making sure that we're making things right by our customers," Wells Fargo CEO Tim Sloan told CNN's Poppy Harlow in an exclusive interview this week. Wells Fargo said the revised settlement, which is subject to court approval, will cover "all customers" claiming that without their consent the bank opened an account in their name, enrolled them in a product or service or submitted credit card or other applications. Once preliminary approval is received for the settlement, Wells Fargo said a notice will be sent to customers explaining the process to make claims. It's not clear how much each customer will receive because it's too early to know how many people will be included in the settlement. After subtracting attorneys' fees and costs of administration, Wells Fargo said the $142 million will go towards reimbursing customers for fees and damage to their credit scores. The remainder of the pool will be for "additional compensation," the bank said. Lawyers representing the plaintiffs said in a separate statement that the additional compensation will be "based on the number of unauthorized accounts, products or services opened in their names." The class action payouts would be on top of the $3.2 million in refunds that Wells Fargo paid to customers to cover 130,000 potentially-unauthorized accounts Those refunds work out to about $25 per account. Wells Fargo was at the center of a national firestorm last September when regulators slapped the bank with $185 million in fines for creating some two million unauthorized accounts. The bank said it fired 5,300 workers since 2011 for improper sales tactics. Wells Fargo has since taken numerous steps aimed at fixing its culture, including eliminating unrealistic sales goals, changing its leadership and clawing back $180 million in pay from senior executives. The settlement with regulators was based on a review of accounts going back to 2011. Under pressure from the public, Wells Fargo agreed to expand the account review to include 2009 and 2010. However, Wells Fargo does not plan to review accounts back to 2002, despite the findings of the independent board report finding evidence of "mass terminations" of employees for opening unauthorized accounts and other misconduct. Sloan told CNN that's because there are "challenges" with the "quality of the data" from that long ago. He urged customers who have concerns to reach out to Wells Fargo. "We've done everything we can to turn over every stone," Sloan said.